The Queensway Machine Products Ltd.
machining in the aircraft industry since 1942.
equipment ranging from conventional mills and lathes to the hi-tech CNC lathes and mills. 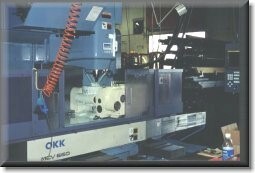 We have 2 dedicated 5 axis machines as well as other vertical mills retrofitted for 5 axis machining. Historically, we have done work for many companies including AV Roe, McDonnel Douglas (Canada and St Louis) and the DeHavilland Aircraft Co. Currently we do work for companies in aerospace like Viking Air, Centra Industries and ACTI as well as work for a number of commercial companies in the mold manufacturing sector. 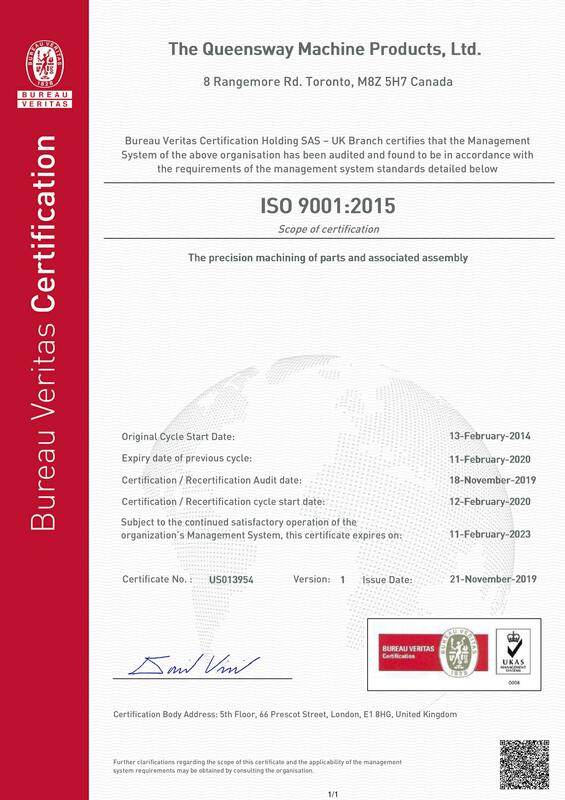 We have been ISO 9001 certified since 1999 and currently are registered to the ISO9001:2008 standard. We continue to upgrade our company in many areas through various continuous improvement activities. requirements of the aerospace industry. We are always looking to expand our customer base and as such, we would welcome any opportunities to quote on new work. We are confident that our standards will enable us to develop new mutually beneficial business relationships as we have established in the past.